Online banking is very convenient, but it is important to exercise caution. The ability to check your account balance, pay bills and even deposit checks from anywhere is great, but there are always thieves and criminals trying to steal your personal information and even your money. The good news is that you can still bank safely online and keep your money protected. Taking a few common-sense precautions before you go online can keep you a step ahead of the bad guys. These tips can help you get started. If you must bank from your smartphone, tablet or other mobile device, use the app provided by your bank instead of simply going to the bank’s website. Banking apps include additional security that can keep your data safe and make it harder for thieves to intercept your data. Turn off the feature that remembers the passwords on your smartphone, tablet or laptop. It is ridiculously easy for a thief to recover those stored passwords and hack into your bank accounts. Never do your banking from a public Wi-Fi hotspot. If you plan to use your smartphone for banking, do so only when connected to your cellular provider. Public Wi-Fi hotspots are notoriously insecure and easy to spoof. Choose a strong password for all your online banking applications, and make sure the password is different for each site. Your password should include a combination of uppercase letters, lowercase letters, numbers and special characters, and it should not contain words, names or other obvious elements. Avoid using birthdates, the names of children or pets and anything else that would be easy to guess. Use your security questions to further secure your account and keep intruders at bay. Never choose a security question and answer that could be easily discovered, such as the name of a pet or your city of birth. Choose obscure question and answer combinations that only you would know. 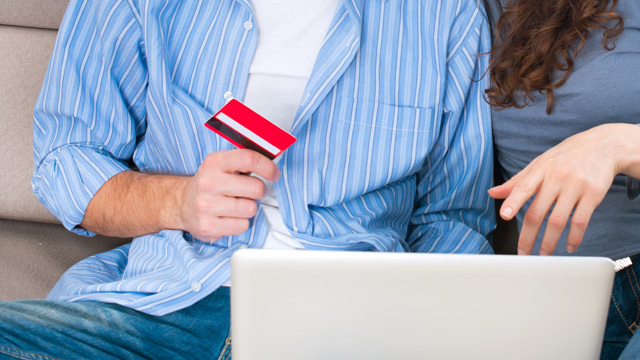 These tips can help you enjoy all the advantages of online banking without any of the risks. The ability to check your balance on the go and keep track of your money can actually improve your finances. If you know exactly how much is in your account, you are less likely to overspend and overdraw your account. If you can keep your computer and your account secure, you can enjoy the benefits of banking online without putting your personal information at risk.